Billy McNeill continues the medal count and we see a young Billy with two daughters admiring his medal and jersey haul. This picture was taken in 1970 and shows just how successful Billy was by this time. Not only did Billy continue to collect medals but also kids as well because by my calculation he eventually had a brood of five. Try spotting the jerseys. The one that looks like a sash I think is Peru. In 1970 Tommy Gemmell was recuperating from a broken foot. He can be seen reading a magazine with the Celts on the back page. Gemmell is also see participating in what looks like a charity golf tourney with Tommy pairing with the popular Scots golfer Bernard Gallagher. (No chance of any pics of Kirsty Gallagher rather than her Dad ? – Ed) Bernard looks to be smoking on the course, something that would never occur now in these days of healthy living through sport and political correctness. Celtic forward Paul Wilson is also on the golf course. Paul looks to have a fine swing but check out the size of the ‘Dan Dares’ (flares) as we used to call them back then. Believe it or not these were the height of fashion at that time. 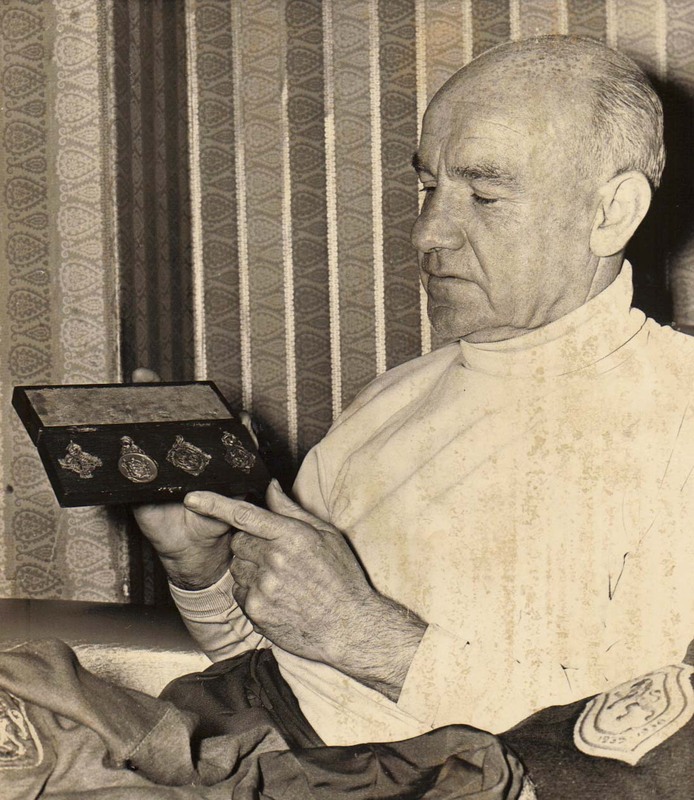 Shoot magazine used to issue annual awards to players on both sides of the border. You can see Billy Bremner and Kenny Dalglish receiving their player of the year awards from the magazine in 1974. Bremner was Celtic mad and never achieved his ambition of playing for the Celts during his career. He died tragically young in 1997 and ex Leeds striker Allan Clarke claimed on a tribute programme that wee Billy achieved all his ambitions except one – pulling on the green and white hoops of Celtic. Dalglish for his part should treasure this Shoot award as he never won the Scottish player of the year award. Incredibly neither Kenny or Jimmy Johnstone ever won this award during their Parkhead days. By the way, John Greig won it twice, which shows where the priorities lay for journalists back then. Next we travel to 1980 and see the Celtic fivesome of George McCluskey, Murdo MacLeod, Danny McGrain, Davie Provan and Roy Aitken celebrating their call ups for the Scotland squad for the game against Portugal in March 1980. Notice the snow and heavy frost on the Parkhead pitch at that time. 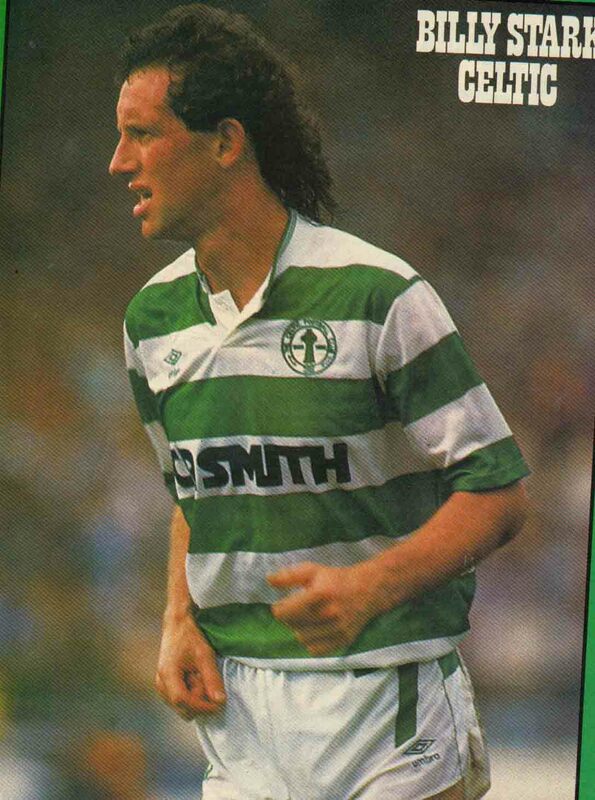 George McCluskey’s cap was for an over age player in the under 21 side and he was never to win a full cap which was a travesty considering that such luminaries like Davie Dodds, Doug Rougvie and Ally Dawson all won caps around this time. George had a fine scoring record at under 21 level but a full cap was to elude him. And the final image this week shows Mark Reid, George McCluskey, Dom Sullivan and Danny McGrain all reading a Daily Record from 1981. The big headline was that Celtic had just been drawn against Juventus in the European Cup. Juve boasted a star studded side with Liam Brady their main inspiration with the backbone of the Italian squad – Zoff, Gentile, Scirea, Cabrini, Bettega and Tardelli all adding their support. 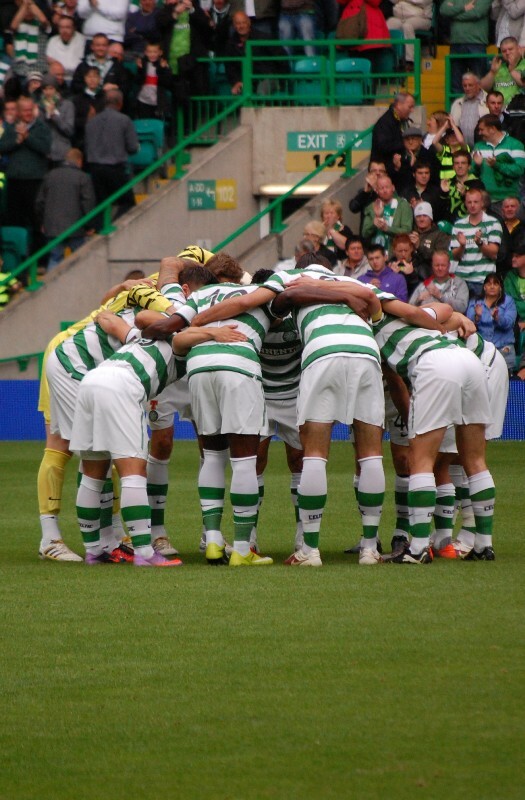 Celtic deservedly won 1-0 at home and lost 2-0 away to lose out. 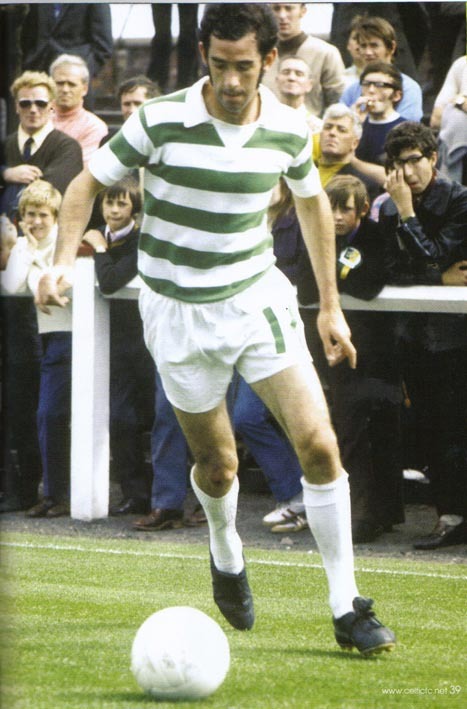 Captain Danny McGrain missed the second leg through a leg injury and his experience was sadly missed on the night. Had he played then who knows ? As it was Zoff and co were to create history nine months later when they were an integral part of the Italy side who won the 1982 World Cup in Spain. Click on any image in the gallery to enlarge it.